it's that time of the month - announcing the choice of our online book club feature. 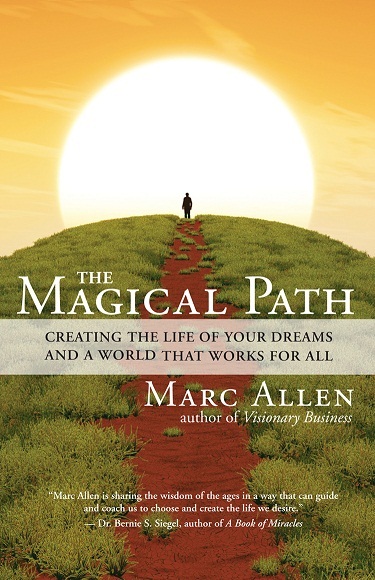 this month it's the magical path: creating the life of your dreams and a world that works for all by marc allen. as we begin to tie a bow around 2012, it's the perfect time of the year to begin reflecting, looking forward, and thinking about the world as a whole. i'm hopeful this book will be a great catalyst for the process. I am so looking forward to this one! I just read one of his other books-- The Type Z Guide to Success. It was recommended in another book I was reading. It will be great to go through this one with other folks. Thanks!